If you've never owned a hamster, you may wonder about the cleanliness of such a pet. Hamsters actually keep themselves meticulously cleaned and have essentially no odor. If you do smell a strong odor coming from your hamster, a more serious problem could be at hand. Bathing is not recommended for hamsters except in particularly unusual circumstances. What you can do is help your hamster stay clean with simple grooming techniques and proper cage maintenance. Hamsters are susceptible to colds; getting one wet makes it easier for him to catch one. This is one reason why hamster owners are warned to never bathe their hamsters. 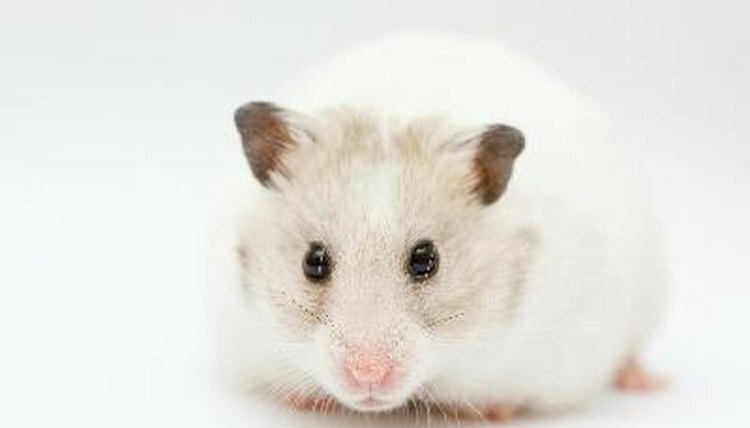 Another reason bathing is risky is because it removes essential oils from the fur that help keep the hamster healthy. It extreme circumstances, you can spot-clean areas, such as when a hamster has gotten something toxic in his fur. Do so in a warmed environment, and get the fur dry quickly after cleaning. Return the hamster to its habitat only once he's completely dry. Hamsters do quite an efficient job at keeping themselves clean. Chances are you've seen your hamster grooming herself, especially after you handle her. Hamsters, territorial creatures, have scent glands in the hip area. They groom themselves to spread the oils secreted from these glands all over their bodies. After you handle them, they work to remove your scent. Sometimes hamsters will have bedding or poop stuck in their fur. This is especially true of long-haired breeds. To help remove such matter, use a soft toothbrush to gently brush the hamster's fur. This is a good time to inspect your hamster for signs of illness. When brushing the belly, check for tumors or abscesses and wet spots around the bottom, which could be a sign of wet tail. If your hamster has a smell that's not bedding, there's a problem. One of the common issues is his cage isn't being cleaned frequently. Hamster cages need cleaning once a week. Smaller cages may need cleaning twice per week. Odor may be caused by illness. The list of hamster diseases is long; if you notice your hamster has a stronger odor than normal, a vet visit is necessary. Can I Clean the Cage if the Baby Hamsters Are Two Weeks Old?